The important thing is not to be bitter over life’s difficulties. Learn to let go of the past and recognize that everyday won’t be sunny. and those stars will lead you back home. So don’t be afraid to make mistakes, to stumble, to fall. the greatest rewards come from doing things that scares you the most. 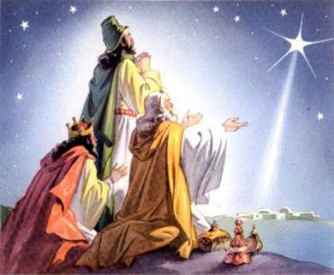 “We Three Kings“, also known as “We Three Kings of Orient Are” or “The Quest of the Magi“, is a Christmas carol written by the Reverend John Henry Hopkins, Jr., who wrote both the lyrics and the music. a fairy tale . . .